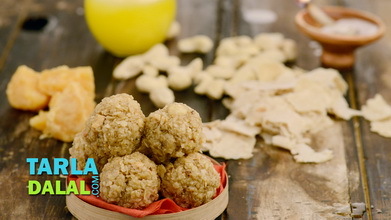 With the chewy texture of coconut, the rich flavour of roasted rava, the crunch of nuts and dried fruits, and the intense aroma of spices, this Coconut and Rava Laddoo is a mouthful of delight that nobody can resist! Although the procedure is a little long, requiring a spot of cooking and a period of cooling, the method is actually easy and foolproof if you follow the instructions properly, so you will find it completely worth the effort and time spent. 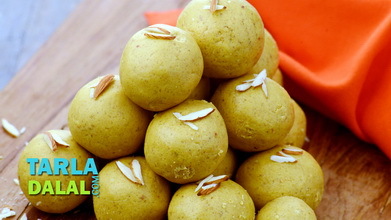 The best part is that these laddoos will be thoroughly enjoyed by kids and adults as well. 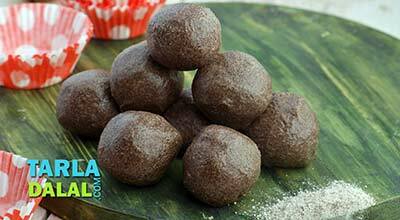 To make coconut and rava ladoo, dry roast the semolina in a non-stick kadhai on a slow flame for 3 minutes. Switch off the flame, add the coconut and mix well. Keep aside. 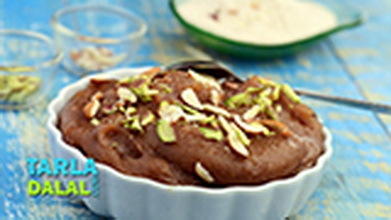 Combine the sugar and 1 cup of water in a sauce pan, mix well and cook on a medium flame for approx. 5 to 6 minutes, while stirring occasionally. Keep this sugar syrup aside to cool slightly. 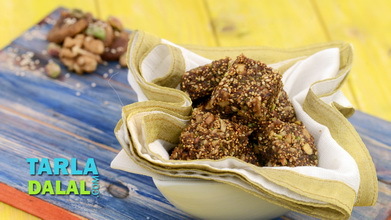 Heat the ghee in a non-stick kadhai and add the semolina-coconut mixture, cashewnuts and raisins, mix well and cook on medium flame for 5 to 6 minutes, while stirring continuously. 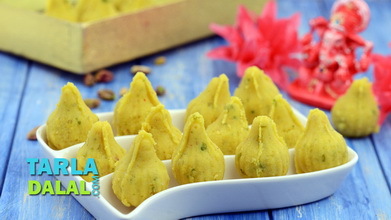 Add the sugar syrup, saffron and cardamom powder, mix well and cook on a medium flame for 8 to 10 minutes, while stirring continuously. Transfer the mixture into a 10” (250 mm. ) diameter thali and spread it evenly using a flat ladle. Keep aside to cool for 2 hours. Once cooled, scrape out the mixture from the thali and again mix well. 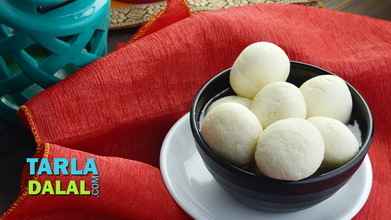 Divide dough into 26 equal portions and shape each portion in between your palms into a round ladoo. 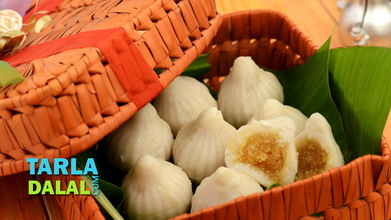 Serve or store the coconut and rava ladoo in an air-tight container. 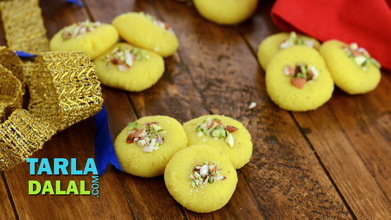 These ladoos stay fresh in an air-tight container for a week at room temperature.